10% BUYER'S PREMIUM on contents of this auction. 3% Bank Fee for credit card transactions. 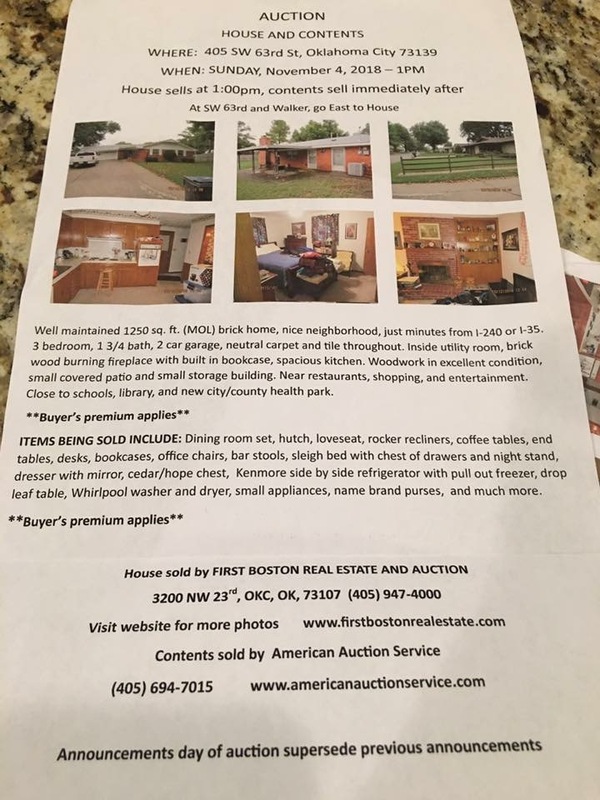 Dining room set, hutch, loveseat, rock recliners, coffee tables, end tables, desks, bookcases, office chairs, bar stools, sleigh bed w/chest of drawers, night stand, dresser w/mirror, cedar hope chest, Kenmore side-by-side refrigerator w/pull out freezer, drop-leaf table, Whirlpool washer & dryer, small appliances, name brand purses and much more.